Estancia in Arizona is an elegant private guard gated golf community located in the high Sonoran Desert in Scottsdale. This elegant community is spread across 640 acres with amazing views of the surrounding landscape. Most of the homes in the community were built between 1996 and 2017. 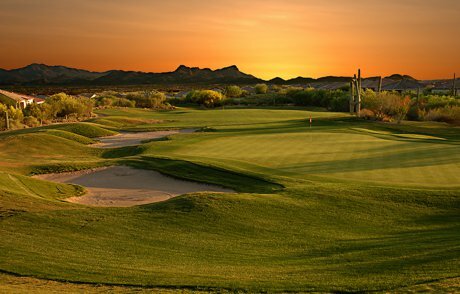 The Estancia Club, a world-renowned golf club, is on the northern slope of Pinnacle Peak. The Estancia Club is an 18-hole championship golf course designed by Tom Fazio. With 7,314 yards of bent grass greens and gorgeous views, this superb course has an active caddy program. When golfers tire, there are many things to do in the clubhouse. The clubhouse includes a fitness center for those who are health conscious. Pro shops keep the golfers well supplied. For athletes who prefer something other than golf, there is a pool and a tennis court. Individual members and their guests can enjoy both casual and fine dining. As a private club, Estancia can be used only by members and their guests. However, Estancia real estate ownership is not required to obtain membership. Real estate in Estancia includes custom home sites and Tuscan-style villas known as The Homes of LaScala. Design guideline for both architecture and landscape are in place to ensure the homes maintain the integrity and beauty of the Sonoran Desert. There are a few smaller sized lots close to the clubhouse, and the rest of the community features large lots. Homes have anywhere from two to eight bedrooms, ranging from 2,800 square feet to 14,231 square feet of living space. 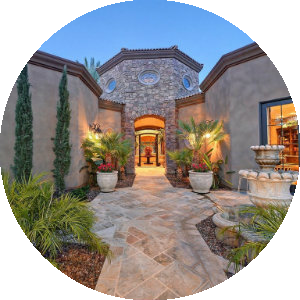 This community is recognized as one of Arizona’s most luxurious, with something for anyone who desires to live in a private golf community. 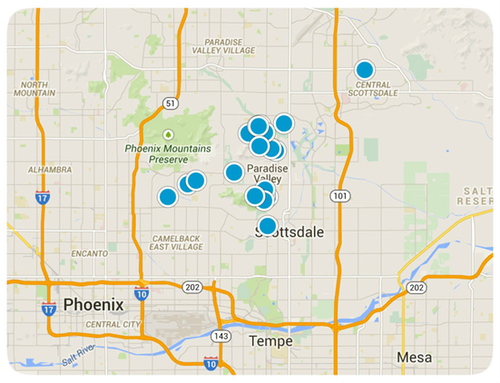 Students generally attend schools in the Cave Creek Unified School District. When you take in the amazing beauty of the surrounding desert landscape, the amenities included in the golf club, and the variety of shopping and dining experiences in nearby Scottsdale, you will no doubt agree that this is a must-consider destination for homebuyers in the Scottsdale area. 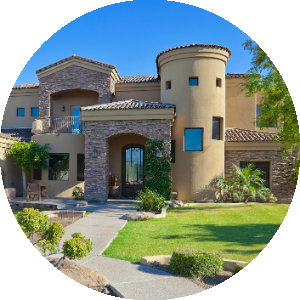 If you would like more information on homes for sale in Estancia of Scottsdale, Arizona, please contact us today and allow us to assist you. You'll find the very latest homes for sale in Estancia featured below. This information is updated throughout the day so be sure to check back often! Search the complete inventory of Winfield homes for sale by price, community amenities, square footage and more using our detailed ADVANCED SEARCH option.See something that interests you? Want more information? 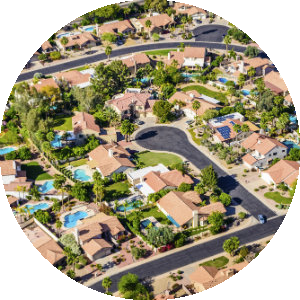 Contact Us anytime to schedule a private showing for any property you find on this site or for more information on the community of Estancia and all Scottsdale area real estate.